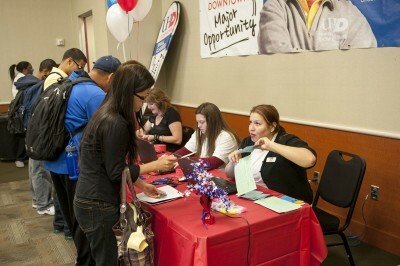 Students needing to complete their enrollment for the Spring 2017 term are invited to UHD's Saturday Registration. Service teams will be available from 8 a.m. to 2 p.m., Saturday, Jan. 14, to assist with all enrollment needs—from academic advising to paying for tuition. For more information, contact the Registrar's Office at 713-221-8999.